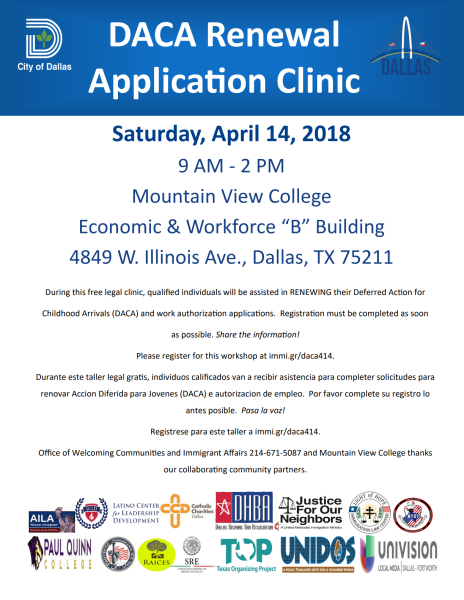 During this free legal clinic, qualified individuals will be assisted in RENEWING their Deferred Action for Childhood Arrivals (DACA) and work authorization applications. Registration must be completed as soon as possible. Share the information! Please register for this workshop at immi.gr/daca414.